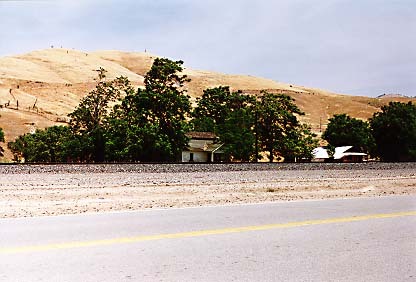 Caliente, formerly Allen's Camp, was renamed when the Southern Pacific Railroad established construction headquarters here in 1875 while track was laid over Tehachapi Pass. It was a freighting center for Havilah and other mining towns as well as shipping point for cattle from Walker's Basin and Bear Mountain. 2.3 mi N of Hwy 58 on Bealville Rd, Caliente. 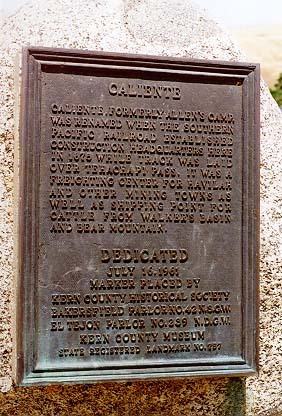 Return to other landmarks in Kern county.